Did it fly??? 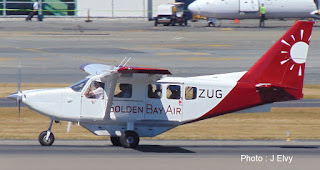 Peter from Nelson has respondded to my post on the 24th that ZK-JSH "was reported as departing to Palmerston on the 23rd but it is doubtful if the flight took place as it was parked in its usual spot next morning and has not moved since." According to Flightaware Originair's BAe Jetstream 31 ZK-JSH flew from Nelson to Palmerston North yesterday as ORIGINAIR 11. One wonders if this marks the start of Originair stretching its wings to get airborne again??? As for Palmerston North - in Fieldair for maintenance??? Time will tell! Meanwhile the Originair website shows bookings available on flights between Nelson and Palmerston North and Nelson and New Plymouth from the 22nd of March 2019. There are no flights being offered between New Plymouth and Nelson at this stage. The Flightaware screenshot of yesterday's flight, albeit with a dodgy arrival time! On the 1st of January I predicted Air Napier would be an airline to watch out for in 2019... https://3rdlevelnz.blogspot.com/2019/01/crystal-ball-gazing-for-2019.html. And here is some news about Air Napier's expansion and expansion plans that I missed seeing earlier. If you can afford to splash the cash, it's about to get a little easier to get up the East Coast, with the launch of a new direct flight between Napier and Gisborne. Hawke's Bay based airline Air Napier will be running a regular commercial flight between the two cities, kicking off with two flights on Wednesday. CEO Shah Aslam , who took over the company in November, said Air Napier had been receiving a lot of feedback from people wanting the route. "The public are crying out for regular, scheduled flights connecting Napier direct to Hamilton, Tauranga, Gisborne, Palmerston North, and more." "While the beauty of the New Zealand landscape is undeniable, the hills and rugged landscape that go along with that make commuting by car a lengthy exercise, to say the least. "People are tired of wasting hours of their time sitting in cars, or sitting in airport lounges waiting for connecting flights from Auckland or Wellington." Air Napier has yet to decide how many times a week the service will run. Aslam said it would take six weeks before it became clear how much demand there was. At least to start off with, the flights will be pricey - $299 for a seat, or $349 if you want to sit up front with the pilot. "We've gotten mixed reviews about the pricing, but the reality is everyone is expecting the $59, $69 which Air New Zealand does," Aslam said. "It's just not possible for us to drop it to that price." He said even at the $299 mark, the company was not taking home a massive profit. "This is a long term thing, we could do a $99 flight but in two months Air Napier would not exist." He hoped to drop the prices once the company's fleet was expanded. "There's definitely a potential to reduce the pricing on some of these routes." He hoped to run flights between other eastern cities. He said major airlines in New Zealand were not neglecting the region-to-region flights, but did not have appropriate aircraft to make them viable. "If you look at Air New Zealand's fleet now, the smallest plane they have is probably a 55 seater." "Filling a 55 seater plan three times a day on a daily basis, between a region to region is probably not the most economical way to go." 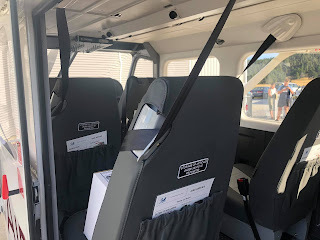 Air Napier's planes seat between three to six people, and they are hoping to expand the fleet to include planes with a slightly higher capacity, up around the nine person mark. Former owner Gary Peacock had built a solid base, which allowed the company to expand into doing commercial flights, Aslam said. As well as the new commercial flights, Air Napier will continue to run charted flights, medical transfers, scenic flights, aerial photography and surveying. It also provides aircraft servicing for private jets flying into Hawke's Bay. The first flight will take off from Gisborne at 8am on Wednesday, and land in Napier at 8.35. 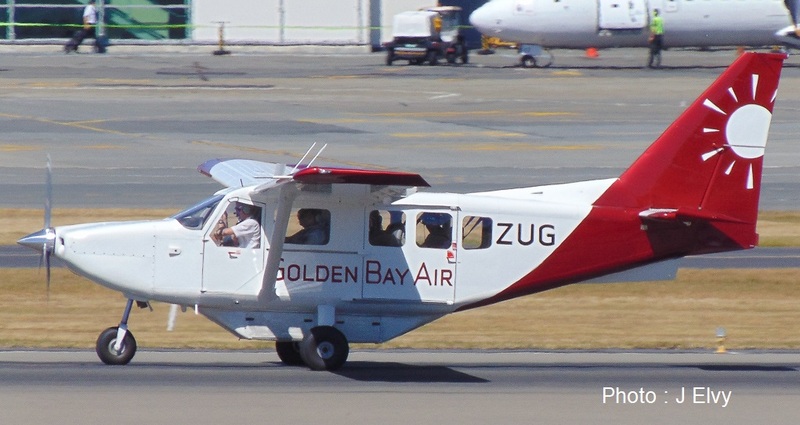 New Zealand aviation’s second oldest domestic route was back in action yesterday. After announcing it would resume flights between Hawke’s Bay Airport and Gisborne for the first time since Air New Zealand pulled out, Air Napier yesterday began a new direct service. “It was a positive day,” Air Napier chief executive Shah Aslam said. “There was fog in Gisborne, which caused a two-hour delay, but outside of that it was smooth. “We have received a lot of positive responses and feedback, especially from the business community in Gisborne and Napier,” said Mr Aslam, who will be in Gisborne tomorrow for a meeting with the Chamber of Commerce and heads of the local business community. “We will be loading up flights for the next few weeks by Friday.” New Zealand’s first regular scheduled passenger service began in 1930 when Air Travel launched a tri-weekly service between Christchurch and Dunedin using a De Havilland DH50 borrowed from the government. Soon afterwards, Dominion Airlines Ltd began a daily service between Gisborne and Hastings. Investors behind the re-launch of the Napier to Gisborne airline route have been blown away with inquiries about the new service — particularly with an unexpected call from Gisborne for a possible “school run” by air. Air Napier started scheduled flights between Gisborne and Napier last week. Chief operating officer Mike Brown said the aim of last Wednesday’s soft-launch was to establish what demand there was for the Napier-Gisborne route, as well as potential new link from Gisborne to other regions. “The amount of email we’ve had and phone calls, we had to put extra staff on over the last few days, has been phenomenal. I mean we got asked for a ‘bus route’ because there are so many kids going to private schools in Hawke’s Bay and they are only spending one day a week with their parents, the rest of the time they are at school or sitting in a car. So, there are all these new things that have come out of it.” Brown said the airline was also open to working with community groups. “So far the response has been extremely good — phenomenal to be honest. “It’s been very refreshing — from the Mayor to the unique set up with Eastland Group and the i-Site guys. Everybody is singing off the same song sheet and that makes it easier for people like us. “Gisborne is open for business. ECT have been very open and the Chamber of Commerce have been extremely welcoming. “We were always of the mindset of wanting some scheduled flights region to region and that’s what we are looking at.” People at the government’s Provincial Growth Fund were also “pretty excited” about the possibilities. “We’re open to all aspects and we’re open to investment too, just like any other business, and we’re willing to work with anyone who wants to work with us. I think there’s a big opportunity here, which is why we’ve shifted our lives and we’ve got a solid team behind us.” Air Napier now had 11 staff members based in Hawke’s Bay with room to expand staff levels further, including Gisborne. “Doors are really opening up here,” he said. “Everything, apart from the road (SH2) leading into Gisborne, seems to be ready to move. 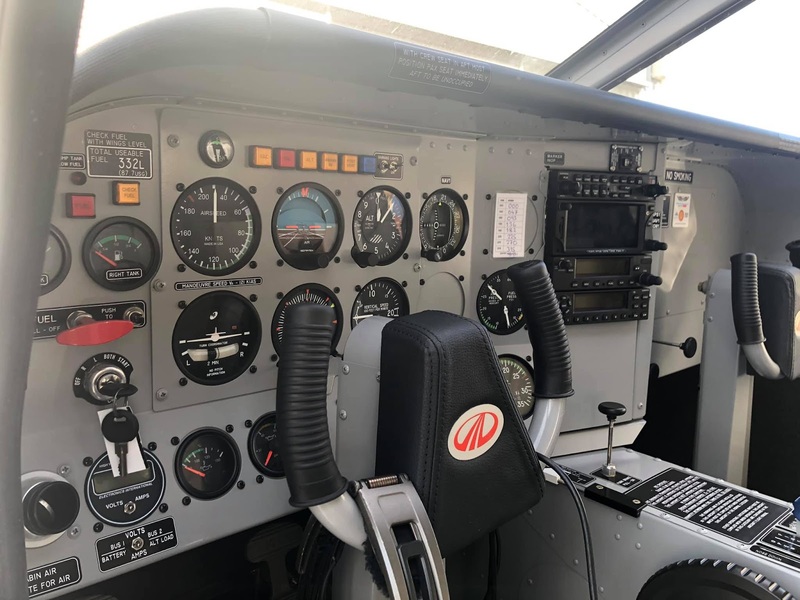 That’s been the biggest positive out of here.” The airline had five aircraft, four twin engines and one single engine, and was looking to recruit six new pilots. Air Napier chief executive Shah Aslam said the airline was “very dedicated” to Gisborne. “It’s not all about us, it’s about working together in partnership with ECT, the council and other local businesses. There’s no business too small or too big that we won’t work with.” Gisborne Chamber of Commerce chief executive Terry Sheldrake said members had been keen to hear more about the airline at a presentation to members on Thursday. “They understand that Air Napier will work with our community re a flexible timetable, and will be doing their due diligence around finding the best price that they can offer for this service, yesterday was day one so very early stages for this new service.” Members particularly liked knowing they now had an option to get to Hawke’s Bay in just a 35-minute flight. Bombardier Q300ZK-NEP was arriving at Gisborne on 14 February 2019. Air Napier is the only other "airline" serving Gisborne with a five day a week service to Gisborne. This largely carries freight but Air Napier are at the moment extending passenger services. Air New Zealand Airbus 320 ZK-OXH. My first view of Air New Air New Zealand's de-korued ATR 72-500, ZK-MCB... MCB is the only -500 series ATR I haven't flown on. Originair continues to struggle to get airborne again. The company's reservations system has now pushed out the start of flights for another month until the 22nd of March. Originair's last flights were flown on the weekend of the 30 November-3 December by Skyline Aviation.